Message summary: Today we all have a choice, will we be a bully or a buddy? Saturday morning we were at the Rehoboth Beach boardwalk for the annual “Buddy Walk”. 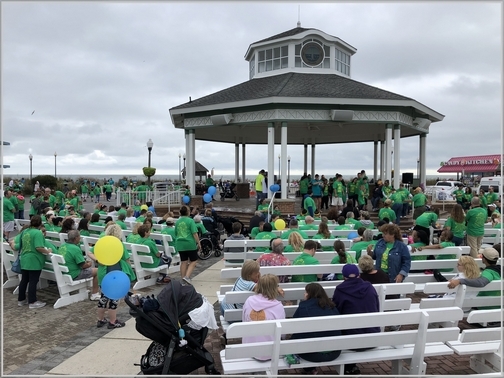 On this day people with Down Syndrome and their many supporters (family and friends) gather for a walk on the Rehoboth Beach boardwalk. It’s a festive type fundraiser and an activity these people look forward to each year. We engaged in a conversation with a caring father from Maryland that we met on the boardwalk along with his special needs daughter and a beautiful Golden Doodle dog he purchased in Paradise (Lancaster Amish country). He didn’t know upon purchase but has since learned how the dog senses when his daughter is going to have a seizure and alerts the family, even detecting arrhythmia in an individual. We observed many examples of esteem and kindness shown toward those with special needs demonstrating the truth of the old children’s song “they’re all precious in His sight”. Bullying is not new. We both recall bullies growing up and it pains me to say that I (Stephen) am sure I did some bullying in Junior High School. 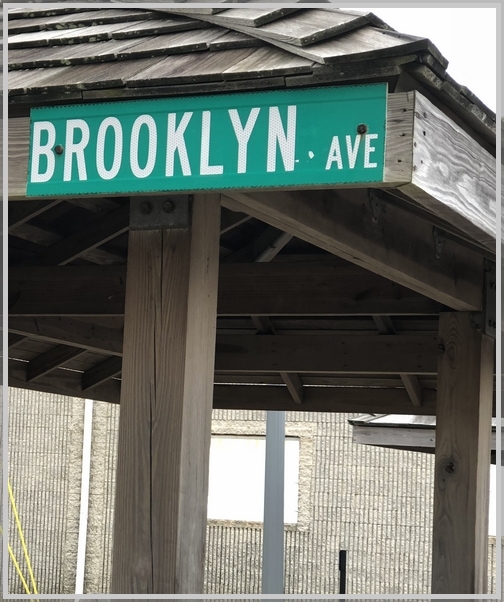 Brooksyne poignantly recalls a girl she sought to befriend who rode the school bus in her junior high years. She was bullied intensely. She was a special needs student who endured abuse by her schoolmates daily. They would sit behind her and spit in her hair as they swore and called her filthy names. Bullying is nothing new. But bullying is not just a problem in youth. There are bullies in every age group including senior citizens! There are bullies in politics, bullies in the corporate world, bullies in every institution. And yes there are even bullies in the church! Many years ago I dealt with a denominational bully, striving for power. Bullying sure seems to be increasing with many additional ways to bully notably “cyber-bullying” using the internet and social media. Last week we were deeply troubled when we received the tragic news concerning a pastor’s 14 year old daughter who committed suicide due to bullying. We can only imagine the lifelong grief this family will endure. The Bible’s most notorious bad boy bully was Goliath. He taunted the people of God and stirred up great fear. But as most of you know, young David put him in his place! Not as well known are bullies like Nabal in the Old Testament (1 Samuel 25) and Diotrephes in the New Testament (3 John 9,10). Schools have programs dealing with this but foundationally bullying is a spiritual problem. Being mean to one another is a part of fallen human nature. In contrast the Scripture instructs us to “be kind to one another” (Ephesians 4:32) and to treat others like we want to be treated (paraphrase of golden Rule). 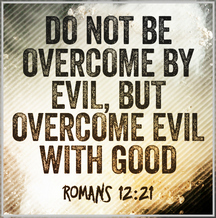 Today’s main verse is a antidote to bullying, “Do not be overcome by evil, but overcome evil with good” (Romans 12:21). “Do not be overcome by evil.” This applies to both the bully and bullied. When one allows a bullying attitude to overtake them they are being overcome by evil. Likewise when one is subjected to being bullied they are being overcome by evil. “But overcome evil with good.” Whenever we identify a bullying spirit upon us in the way we treat others we need to overcome that evil with good. But the same is true when we are bullied, we need to overcome it with good. We who follow Christ experience transforming grace which compels us to heed the commands of Scripture. Our thoughts and actions reject evil and we learn to do good to others. This includes those who have sought to harm us as we seek to overcome evil with good. Today we all have a choice, will we be a bully or a buddy? Daily prayer: Father, just as Scripture indicates that Your Spirit who dwells within us is greater than the spirit dwelling in the world, so also the good that dwells within us is greater than the evil from the world. In our human nature we cannot overcome evil, but through our spiritual nature we conquer the ever present evil with the all-powerful good that comes from Your Holy Spirit residing within our hearts. We choose to hate evil and cling to that which is good and thereby overcome evil with good. We go forth as conquerors in the power of Jesus Christ. Amen. 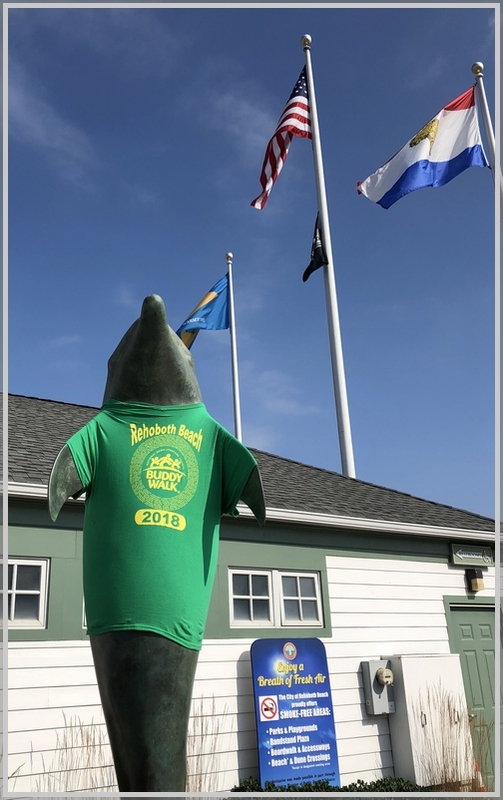 Someone dressed the dolphin statue at the Rehoboth Beach bathhouse in a “Buddy Walk” shirt! 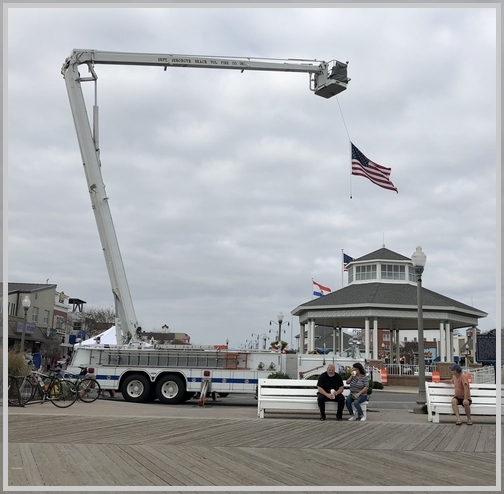 The fire department brought out the ladder truck to fly the flag at Rehoboth Beach above their display table regarding the work of rescue workers. 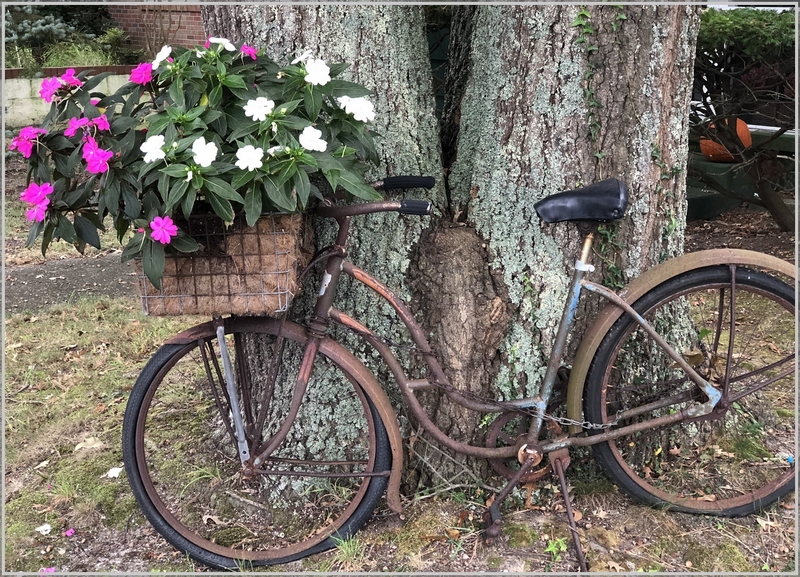 This is a neat way to use an old bike! 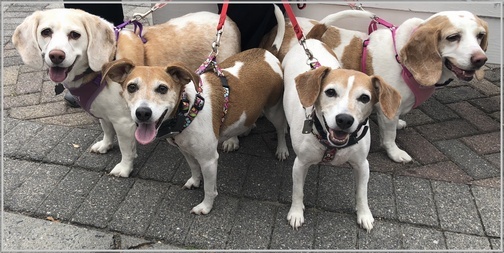 Happy looking beagles – the third from the left is Brooksyne’s favorite – such a happy, happy dog! Buddy Walk is, as I found out, a national program! Work looks very different depending on location and type. 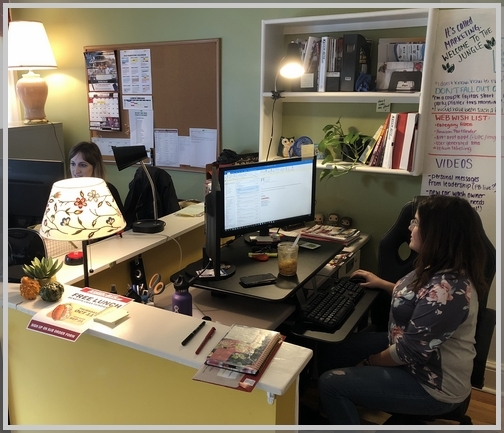 These women are both SEO (Search Engine Optimization) specialists for Kleen-Rite Corp, a wholesale distributor of car wash supplies where we serve as chaplains.